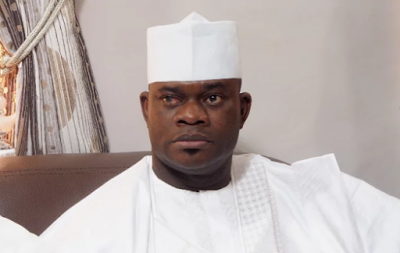 The Kogi State Governor, Yahaya Bello, has promised to pay all the salary and pension arrears of serving and retired civil servants in the state before the end of the year. Bello also pledged to start prompt payment of salaries of workers in the state public service from January 2018. He stated this on Saturday at the commemoration of the 110th birthday of the Odeyani-Anebira, Audu Otonoku, and his eighth year on the throne as the Otonoku in Lokoja. The governor’s prepared speech, according to the News Agency of Nigeria, was read by his Special Adviser on Sustainable Development Goals, Mr. Mumuni Okara, who represented him at the event. He said, “As from January next year, we shall be paying salaries of all the civil servants as and when due. The governor traced the genesis of the delay in the payment of workers’ salaries to huge debts which he claimed that his administration inherited from the immediate past administration. According to him, the corruption in the state civil service and the need to restore sanity in the service also accounted for the delay. He said the state government had increased the Internally Generated Revenue from N350m monthly to N1.2bn. The Commissioner for Finance, Idris Asiru, said the state government had eliminated 2,000 names from its payroll. Asiru said the state government needed N30bn to clear the salaries and arrears of all workers. He said the governor had given him directive to source for fund for the payment, assuring the workers that he would carry out the governor’s directive.